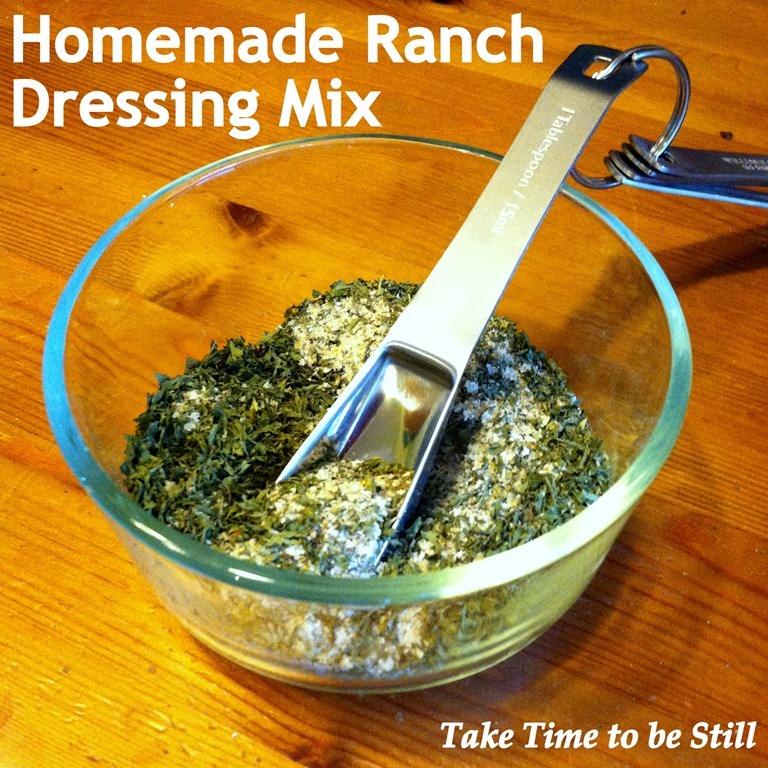 The other day I was making a recipe that called for a packet of ranch salad dressing mix. Well, I don’t use these packets very often, so when I went to the cupboard, I found I did not have any on hand. Since I didn’t have time to run to the store and buy some, and I didn’t have time to come up with an alternative recipe, I decided to take a quick look on Pinterest to see if I could make the packets myself. I found this recipe from The Crafty Blog Stalker and it turned out perfect! The only problem was that her recipe made a LOT of dressing. Like 3 1/2 cups of the mix! That would probably last me a lifetime, so I’ve given you a smaller recipe here, which equals about 4 packets of ranch dressing mix (assuming 3 tbsp. to a packet). Mix together and store in an airtight container. To substitute for a ranch dressing packet in a recipe, use 3 Tbsp. of mix. To make a dip, I used 1 1/2 cups plain Greek yogurt, 1/4 cup sour cream, and about 1 1/2 TBS of the mix. I had to add about a tablespoon of sugar to get the taste right, but it was really good! 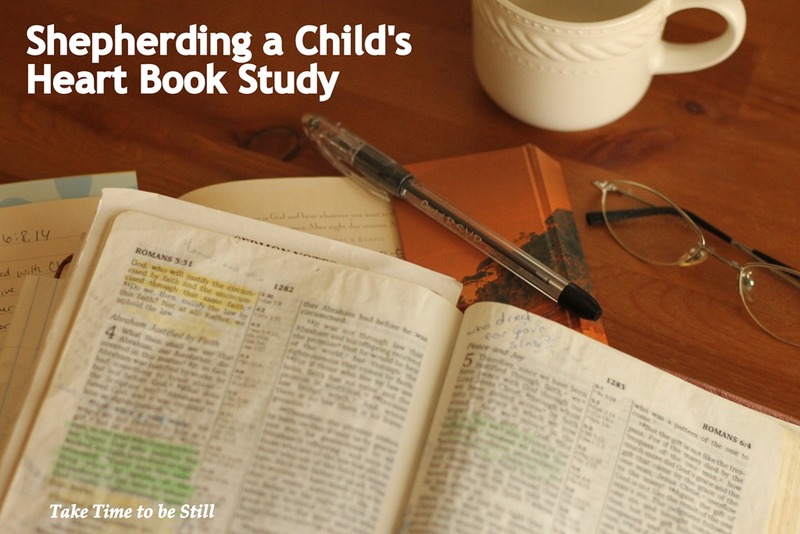 These are the final two weeks of the Shepherding a Child’s Heart book study. Today we will be covering chapters 12 and 13, then we will be taking two chapters at a time until next Friday. I have to be honest, I’m struggling to keep up with the pace, but I’ll do my best! Your most powerful appeals will be those that smite that conscience. When the offended conscience is aroused, correction and discipline find their mark…. The central focus of childrearing is to bring children to a sober assessment of themselves as sinners. They must understand the mercy of God, who offered Christ as a sacrifice for sinners…. You must address the heart as the fountain of behavior, and the conscience as the God-given judge of right and wrong. This was a good reminder for me that I need to consistently and constantly bring my children (and myself) back to the foot of the cross. The Holy Spirit is the one who convicts the conscience and it is the Holy Spirit who can change hearts. I must not focus so much on simply changing behavior, but must see the root of that behavior and help my child to see it as well.